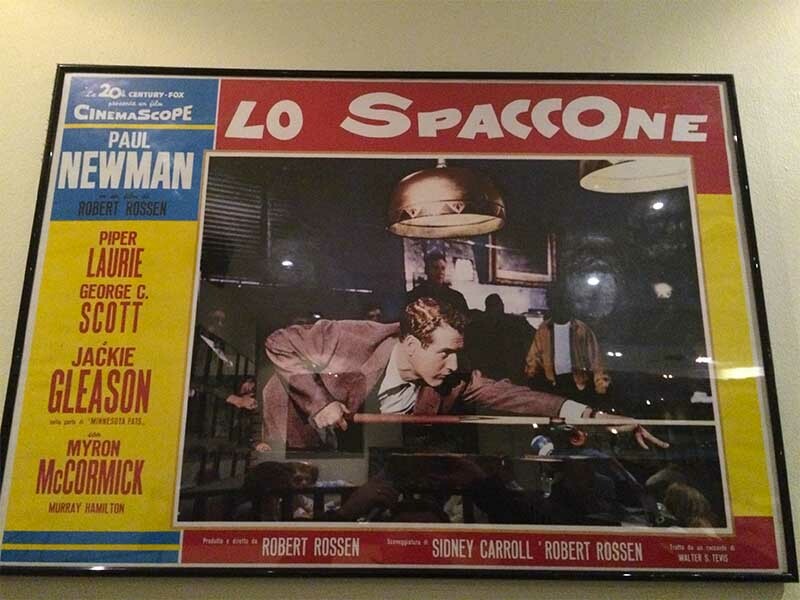 I found these three posters in an Italian restaurant in London. I took a few quick snapshots because, I figured, they’d one day be worth sharing. My apologies for the reflections. There was a stairwell and bad lighting and actual food to eat. 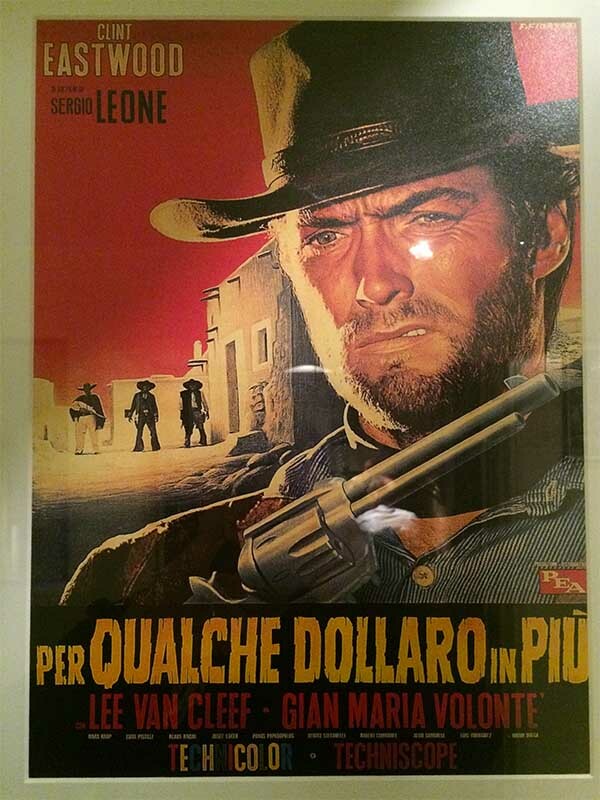 Released in 1965, the film became the highest-grossing film in the history of Italian cinema. It came to the U.S. a few months later and made millions more. 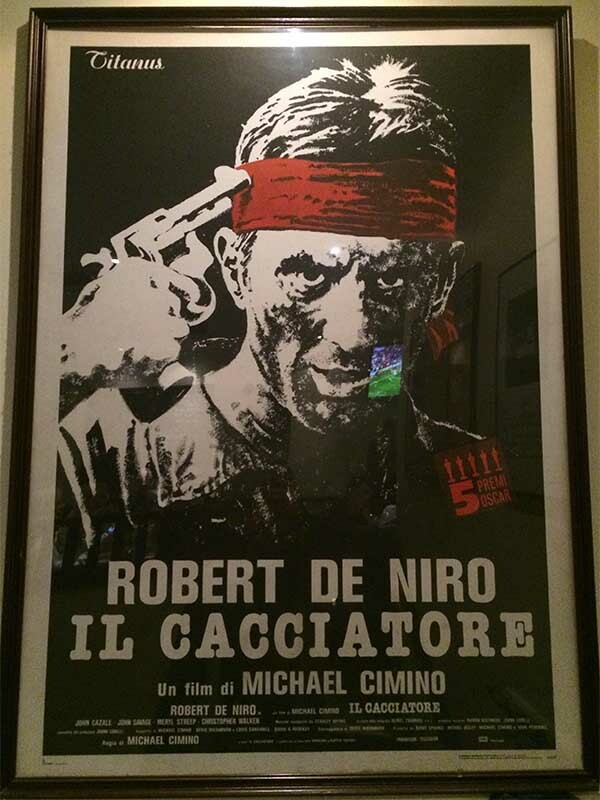 Ferruccio Amendola did the Italian dubs for Robert De Niro’s Mike Vronsky. He did dubs for more than 30 years, usually carrying big, domineering characters. Happily, the Italian dubs for Fast Eddy in both The Hustler and The Color of Money were done by Giuseppe Rinaldi. That’s no small thing. He’s considered the greatest voice actor in Italian history. He dubbed more than 200 foreign actors in about 500 films. Hudson, Sellers, Sinatra, Lancaster, Douglas, Peck, Martin, Dean, Poitier. Were you a leading man in the second half of the 20th century? Chances are that, in Italy, you sounded like Rinaldi. He worked for almost 40 years, until 1997, and passed away a decade later. Jackie Gleason’s Minnesota Fats was played by Carlo Romano, who was an incredibly accomplished voice actor as well. He appeared in 86 films and did voicework for a few hundred more foreign actors. I can’t find him in that role on YouTube, but there are examples of Romano’s other work. He was no Gleason. This entry was posted on Sunday, June 21st, 2015 at 11:53 pm	and is filed under London, movies, photo, video, weekend. You can follow any comments to this entry through the RSS 2.0 feed. Both comments and pings are currently closed.